Operated in partnership with entertainment legend Dolly Parton, Dollywood, in Pigeon Forge, TN, offers something for everyone. 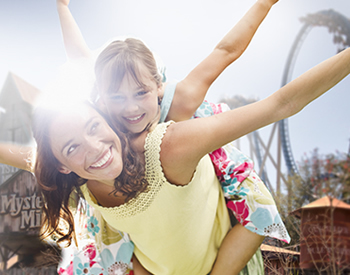 From award-winning rides to some of the nation’s highest quality live entertainment, Dollywood is one of the most popular family destinations. 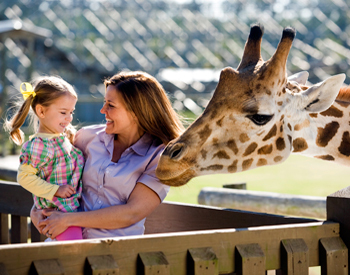 Wild Adventures in Valdosta, GA is a theme park, water park and animal park – all in one. Enjoy roller coasters and thrilling rides for all ages, hundreds of exotic animals live entertainment and concerts throughout the season. 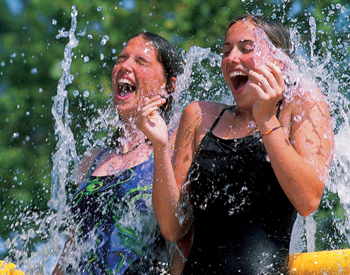 Two-million gallons of water and 12 acres of attractions make up Branson’s only outdoor water park. 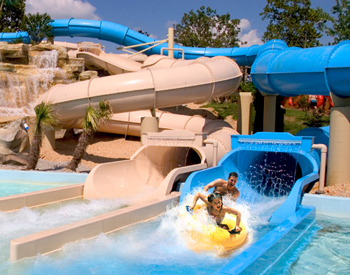 White Water is home to fast-paced rides and 5,000 feet of slides. Operated in partnership with entertainment legend Dolly Parton and adjacent to the Dollywood theme park, Dollywood's Splash Country combines the beauty of the Smokies with the excitement of 23 water rides, slides and attractions. 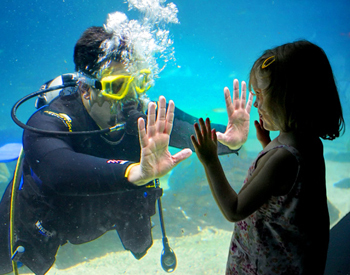 Located in Camden, NJ, in close proximity to Philadelphia, Adventure Aquarium is true to its name. 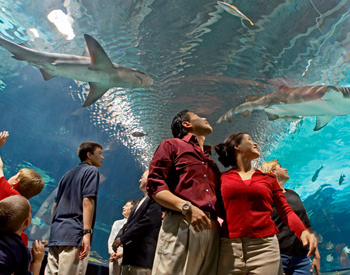 Here guests can get up-close and interact with some of the sea's most unique creatures. From sharks to penguins, birds to frogs, the Newport Aquarium is teeming with creatures big and small. 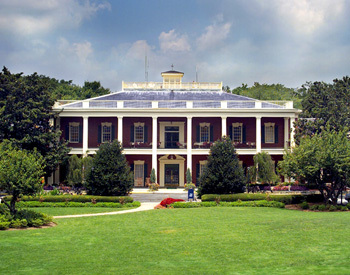 More than a million gallons of educational fun fill this Newport, KY attraction, which is convenient to the Cincinnati area. 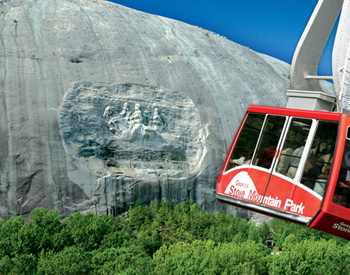 Built around the world’s largest granite mountain, Stone Mountain Park is Georgia’s number one tourist destination with over 3,200 acres of recreation and attractions. 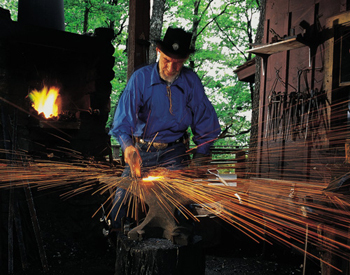 Discover the back-to-nature side of Branson! 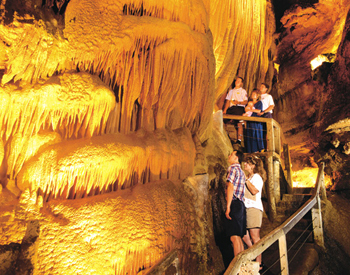 Enjoy guided, walking tours of Talking Rocks Cavern, Cave Country Mini-Golf, gemstone mining, two SpeleoBox crawl mazes, nature trails, a scenic lookout tower, shaded picnic areas and a fully stocked gift shop with many unique “one-of-a-kind” items to remember your visit. 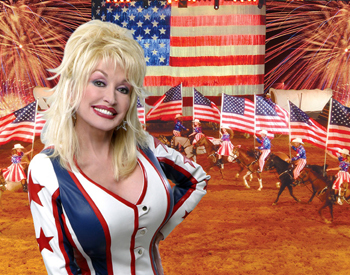 Operated in partnership with entertainment legend Dolly Parton, Dolly Parton’s Stampede is a dinner adventure. A four-course meal is served during a one-of-a-kind show, featuring live buffalo, horses, dozens of cast members, amazing ostrich races and illusions. 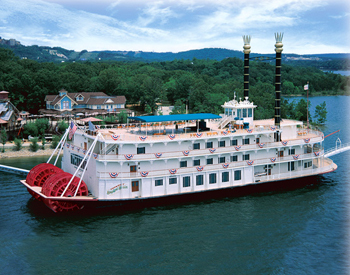 A family-focused dining cruise on the waters of Branson’s Table Rock Lake. Along with lush Ozark scenery, guests enjoy lunch or dinner and a live musical performance. Operated in partnership with entertainment legend Dolly Parton, Celebration! Dinner Show will take guests on a journey they will not soon forget. 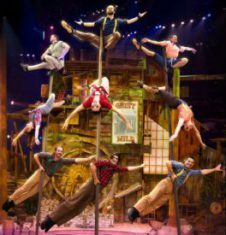 With the backdrop of Dolly’s music and tapestry of characters, this year's show is a 2018 Spectacular Celebration that features amazing entertainers, rousing musical numbers, and jaw-dropping talent and showmanship. Pirates Voyage Dinner & Show invites ye to join Captain Blackbeard, the most famous pirate to ever sail the seven seas, and his quartermaster Calico Jack as they lead the Crimson and Sapphire crews in an epic battle for lost treasure on land, on deck, in water and high above full-sized pirate ships in a 15 foot deep indoor hideaway lagoon. 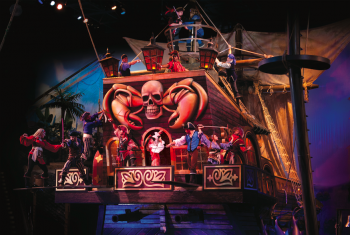 Ye will thrill at the swashbuckling excitement of spectacular acrobatic competitions, aerial feats, sea lions, tropical birds, beautiful mermaids and much more! Which camp takes the treasure may be up to you as ye cheer me buccaneers to victory, all while ye enjoy a fabulous four-course feast! 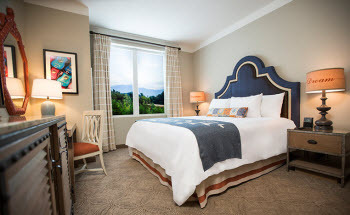 Dollywood's DreamMore Resort offers everything your family is looking for - with many special touches to make your trip effortless and best of all, memorable. 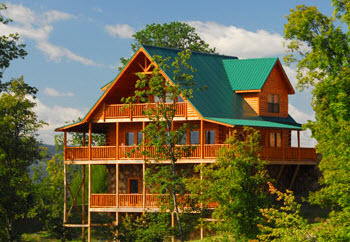 Operated in partnership with entertainment legend Dolly Parton, Dollywood Cabins offers luxurious lodging in the Great Smoky Mountains while enjoying the best family entertainment near Gatlinburg and Pigeon Forge, TN. 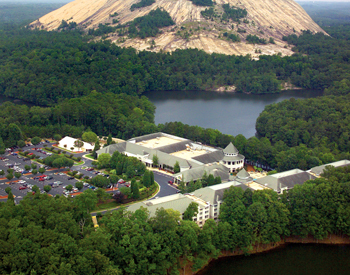 In partnership with Marriott International, Inc., this golf and spa resort provides easy access to attractions and recreation at Stone Mountain Park. This classic Southern inn, located in Stone Mountain Park, features oversized guest rooms with a veranda, a courtyard swimming pool and southern-style cooking. 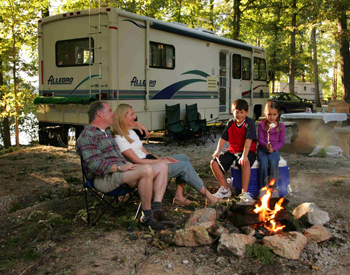 Located in the heart of the state's most popular attraction, Stone Mountain Park Campground is Georgia's largest campground, featuring over 400 wooded campsites. 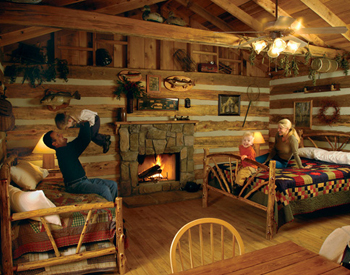 Branson’s Wilderness Log cabins and campgrounds offer Pioneer and Rustic cabin rentals and campsites just minutes from nearby attractions.